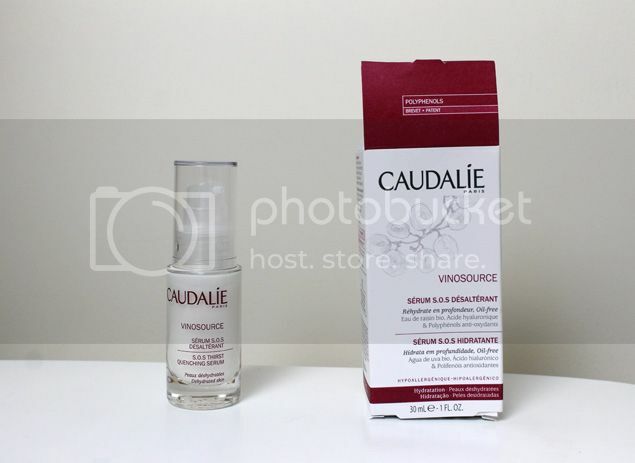 I first came across the Caudalie Vinosource SOS Thirst Quenching Serum when I received a sample in a Glossybox but I largely dismissed it and put it away in one of my drawers. I have oily skin first and foremost, but my skin is also quite dehydrated which in turn makes my skin oilier and my foundation look patchy and yack! I needed something to help perk my skin up again so I rummaged around in my stash and found the aforementioned sample, and well…the rest is history they say. It’s very very light and non greasy, which for someone with oily but dehydrated skin is really important as a lot of intensive moisture creams can be quite heavy and greasy which can not only feel horrid on your face but can sometimes lead to breakouts. It absorbs quickly without a trace so that you can put your moisturiser on top a couple of minutes afterwards without spreading a mixture of the two all over your face. I apply this at night and always wake up with skin that looks plumper and hydrated. My skin is also really smooth and more importantly it seems to regulate the amount of oil my skin produces, so my face is actually relatively oil free when I come to cleanse in the morning, which is no mean feat! It does have fragrance in and probably would be better without but is very light and subtle so I don’t mind it. For oilier skins, this is a one night wonder, but for those needing something industrial strength, well I think you’d either have to apply this for several days or combine it with something else. Case in point, Harry – he has very dry skin and to put it bluntly, this product was simply not up to the job and I had to apply some heavy duty moisturisers (which I don’t really keep in as I have no need!) in order to get his skin into some semblance of order again. This serum is definitely HG for me. It is rather expensive at £29 but it will last such a long time as I’ve not even finished my sample yet! For oily and combination skins that need a moisture boost this is absolutely one to try out, but if you have very dry skin then I’d be prepared to use this alongside something more intensive as I don’t think it’s quite got the hydration power needed to get rid of all those dry patches. Don’t mistake my negativity, I absolutely love this product and it’s definitely worth investing in. I for one shall definitely be using this in my skincare routine for the forseeable future.